Reading Schedule: Our church family will be studying this series from March 23 through May 1, but feel free to read and study at your own pace. Download this or any of our archived series below. Introduction: The great preacher and pastor, Adrian Rogers, once said, “If I were shipwrecked on an island and could choose only one book of the Bible to take with me, I would bring Romans.” This wonderful New Testament book has long been thought to contain some of the greatest theological teachings ever given to Christians. Some even believe that Paul received these teachings directly from the Lord during his three-year stay in Arabia that is mentioned in Galatians 1:11-24. Paul actually penned the letter to the Romans from Corinth. Since Paul was primarily writing to a Gentile group in Rome, his main concern was to educate them on some of the basic doctrines of the Christian faith. His letter has become the believer’s best explanation of the Kingdom Principles by which we are to live today. Introduction: Jeremiah tells us that “the word of the LORD came” to him sometime around 627 BC during “the thirteenth year” of Josiah’s reign (1:2), and continued until “the eleventh year of Zedekiah” and “the carrying away of Jerusalem captive” (1:4) in 586 BC. This faithful preacher served as God’s prophet through at least parts of the reign of at least five kings of Judah. He faithfully preached to his people for approximately 40 years and was an eye-witness to the final days of the crumbling nation of Judah and the glorious city of Jerusalem. God chose Jeremiah to be the last prophet to give Judah its final warning before He cast them out of the land and allowed them to be taken into captivity in Babylon. Jeremiah, a faithful, God-fearing man, was called to tell Judah that, because of their unrepentant sin, their God had turned against them and was now prepared to remove them from the land at the hands of a pagan king. Jeremiah prophesied and ministered during some of the darkest days in the lives of God’s people. He was heartbroken at the spiritual and physical decline of the nation. Because of his pronouncement of judgment against the people, he was personally confronted with opposition, persecution, and isolation. For these reasons, among others, Jeremiah is remembered as “the weeping prophet.” In the Hebrew Bible, Jeremiah is the largest book of the prophets and is longer than all of the 12 books of the Minor Prophets combined. 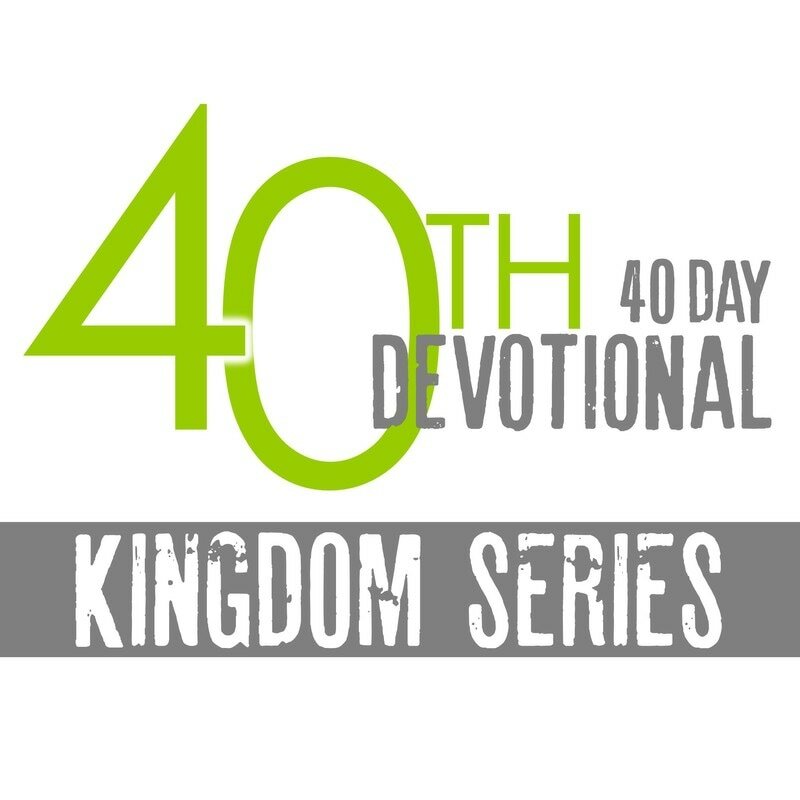 For clarification sake, this devotional is sub-titled “Part Three” because the two devotionals on Isaiah were titled “Kingdom Prophet (Part 1)” and Kingdom Prophet (Part 2)”. Introduction: Miracles! Simply defined, they are the punctuation marks of the Almighty. Throughout God’s Word, miracles are used unsparingly to identify the mood of the Writer as His message is recorded for our instruction and spiritual well-being. Through these divine punctuation marks, carefully placed by the God Himself, we know when to stop, slow down, yield, or simply when to proceed with caution. In the miracles that are recorded throughout the Bible, we can better understand the intent of the Holy Spirit as He guides human beings by His inspired, infallible Word. The Books of Genesis and Exodus are packed with miracles that, when read and studied, teach us that God is all-knowing, all-loving, and all-powerful! Reading Schedule: Our church family will be studying this series starting with Day 1 on Thursday, July 26, 2018 and finishing with Day 40 on Monday, September 3, 2018, but feel free to read and study at your own pace. You can download this or any of our archived series below. Introduction: As you read through the second half of the Book of Job, you will hear from Job’s friends Eliphaz and Bildad again. Then, you will meet another man, Elihu. As you continue to read this book, bear in mind that much of the advice that Job received from these well-meaning men was not at all helpful and often even hurtful. We will also hear from Job in these final chapters as he responds to the words of these friends in some lengthy dialogue. But, most importantly, we will hear from God beginning at chapter 38 and then listen in on some beautiful conversation between our righteous God and His suffering servant. The closing words to this book will encourage each of us to face our trials and troubles with great faith and Kingdom Patience! Introduction: In this book, we will learn things that only God could know, and we will learn things that God wants all of us to know about Satan. But most importantly, we will learn a lot about suffering as we watch Job, the dominant character of the book, experience trial after trial while clinging desperately to his personal faith in God. We will walk with this man as he descends the mountain, down from the glowing description of his personal character and multiple assets, into the valley of suffering, shame, discouragement, and depression. We will then walk with him through the very valley of the shadow of death. Then, when we reach the end of the story, we will climb with him, by faith, out of the valley and to a level of joy and prosperity that is described as being “blessed” more at the latter end of his life than at the first. As usual, these daily devotionals are not intended to be a complete and exhaustive study of this book. Our purpose is to familiarize ourselves with the contents and characters of Job’s story and grow in our own Kingdom Patience as we learn to trust God in all matters and situations. Introduction: People often ask why we have the books of 1 & 2 Samuel, 1 & 2 Kings, and 1 & 2 Chronicles. My answer to that question is that we have these different accounts of the history of Israel and its rulers for the same reason that we have four Gospels. While it is true that Kings and Chronicles cover much of the same period in the history of Israel, and therefore, much of the same subject matter, we see in them Israel’s history from a different perspective. The Books of the Chronicles were written after some of the people of Israel returned to Jerusalem to rebuild the city, its walls, and the temple. 1 Chronicles begins with Adam and ends at the beginning of Solomon’s reign as the last king of a united Israel. 2 Chronicles begins with Solomon and ends with the people of Israel preparing to leave Babylon after seventy years of captivity. In these important pages of God’s Word, you will read about many of the important families whose lives blazed a trail for all of us to follow. We will also read about many roles that God’s people played in the work of ministry and worship. Introduction: People often ask why we have the books of 1 & 2 Kings and 1 & 2 Chronicles. My answer to that question is that we have these different accounts of the history of Israel and its rulers for the same reason that we have four Gospels. While it is true that Kings and Chronicles cover much of the same period in the history of Israel, and therefore, much of the same subject matter, we see in them Israel’s history from a different perspective. The Books of the Chronicles were written after some of the people of Israel returned to Jerusalem to rebuild the city, its walls, and the temple. 1 Chronicles begins with Adam and ends at the beginning of Solomon’s reign as the last king of a united Israel. In these important pages of God’s Word, you will read about many of the important families whose lives blazed a trail for all of us to follow. We will also read about many roles that God’s people played in the work of ministry and worship. Introduction: The Gospel of John is, perhaps, the most personal look that we will have at the life and ministry of Jesus Christ. John was one of The Twelve who walked with Jesus during His earthly ministry, and he was the only disciple who followed Jesus all the way to the cross! However, these devotionals will not be about John! Just as that humble man would have it, these devotionals will be about Jesus and the paths that He walked during His three years of earthly ministry. These devotionals will follow Christ during those three years and pay careful attention to trying to identify the time and place of the events that are recorded in this book. John’s goal in writing was, “That you may believe that Jesus is the Christ, the Son of God, and that (by) believing you may have life in His name” (John 20:31). The goal of this devotional guide is no different. It is my prayer that you will be blessed as you take this forty day walk down our Lord’s Kingdom Pathways. Introduction: Approximately six-hundred years before Christ, God sent one of the most marvelous messages that He ever provided to His people through a man named Daniel. At the time of this prophecy, Israel was in exile and serving as slaves in Babylon. Daniel was one of those who had been forcefully taken away to captivity. The first chapters of the book are historical in nature, and in them, we find some of the most well-known stories in the Bible. The final chapters of the book are prophetic. This devotional series is entitled Kingdom Peril because in the Book of Daniel, we see the trouble that any kingdom, whether Christian or non-Christian, can suffer severe consequences for disobeying and dishonoring God. However, the most important thing that can be said about this book is that the careful reader can see Jesus Christ on every page and in every paragraph! Introduction: The Book of The Revelation is the only book in the New Testament that is primarily prophetic in nature. Verse one tells us that it was written to show God’s servants the things which would soon come to pass. The word “show” is the best way to describe the message that John received from the Lord because it came to him primarily in visions. The Lord literally allowed John to see the events that would take place before, during, and after the end of the world as we know it. As we read through this book, we should see it as it is described in verse 8: A message from “the Alpha and the Omega,” the One “who is, and was, and who is to come, the Almighty.” Verse 3 commands us to “keep” (KJV) or “take to heart” (NIV) what is written in this book because the time is “at hand” (KJV) or “near” (NIV). As we read through this book, we should do so with great anticipation...the time is near! Introduction: Leviticus is the third book in the Bible and the third book written by Moses. The first three books of the Bible are in beautiful order. In the first book, Genesis, we see man ruined and running from God. In the second book, Exodus, we see man redeemed and running to God. And then, in the third book, Leviticus, we see man made righteous and running with God. Although, at the end of Leviticus, the people of God are right where we first find them physically – they had certainly come a long way spiritually as a result of the great truths about atonement, holiness, and righteousness that were revealed to them through the priesthood and offerings that are recorded in this book. Leviticus was the spiritual “User Manual” for how the Old Testament Jews were to walk with God and to worship God. The words “holy” and “holiness” occur almost 100 times in this book. Everything in this book is about how we are to worship a holy God and how He desires to make His people a holy people. Introduction: Paul founded the church at Corinth on his second missionary journey. Early in the first chapter, we learn that many of the people in this church considered Paul to be their favorite preacher! Because of the time that Paul invested into these people (he wrote them two letters and visited them often), we can assume that he returned the love that these young Christians displayed for him. However, there were some very serious problems within this church that had to be addressed. No doubt, many of these problems were hangovers from the Greek culture from which these people had been saved. No church letter, by any writer, addresses more problems than 1 Corinthians. Some writers have referred to this letter as “Christianity 101.” No book addresses the “basics” of church life more than 1 Corinthians. Introduction: Acts is a book about the church and the work of the church! I cannot imagine being without it. As we read through this exciting history, we will meet some new believers and follow their ministries. We will see mighty things done by common people as they were energized by the power of the Holy Spirit. We will watch as many followers are forced to endure hardships and persecutions. Because the Holy Spirit does not withhold any necessary information from us, we will see the church at its best and its worst. We will see conflict between believers. We will witness believers filled with pride and lying to the church and God. Sometimes it is not a pretty picture, but neither is life in the world in which we have been called to be witnesses ourselves. We will laugh and we will cry, but in the end, we will praise God because we know more about the church and its Kingdom Purpose. Introduction: If you do some extra reading about the Book of Isaiah, you might discover that there are some who believe that he wrote only the first portion of the book. However, there are several reasons to be fully convinced that the entire book was written by Isaiah but perhaps in two different phases. The first portion might have been written in his younger years while the second might have been written in his later years as he looked back on his life and ministry. The strongest argument for Isaiah’s authorship is found in the title by which he repeatedly addressed the LORD – “The Holy One of Israel.” Beginning at Isaiah 1:4 through Isaiah 60:14, you should be able to find that phrase over twenty times throughout the book. You will also find that phrase once in 2 Kings 19:22, but a careful look will reveal that it is Isaiah that refers to God by that title in that story. Other than in two places in Jeremiah (50:29 and 51:5) and three places in the Psalms (71:22; 78:41; 89:18), you will find no record of anyone else addressing God in that way. Since this title for God seems to be a trademark of Isaiah, and since it occurs regularly throughout the entire book, I am convinced that Isaiah was the author of all of the wonderful chapters that we will be reading over the next two forty day periods. Introduction: Isaiah has often been referred to as “The Prince of Prophets!” His name means “the Lord saves,” and that is exactly the message he preached. Beyond the fact that he was “the son of Amoz” (1:1), we know very little about this great preacher’s past or childhood. However, we can be sure that he was proud of his roots because we see the phrase “the son of Amoz” repeatedly (seven times) throughout the book. Beyond the book that bears his name, we can also read about the ministry of Isaiah in 2 Kings and 2 Chronicles. His ministry began in earnest in the same year that King Uzziah died (6:1), and he preached during the same times as men like Amos, Hosea, and Micah. Most of what we know about Isaiah comes from some personal, biographical information that he included in his writings. From his own book, we learn that he had at least two sons. One was named Shear-Jashub (7:3) and the other Maher-Shalal-Hash-Baz (8:3). If you wonder where a name like that would come from, you have to read Isaiah 8:3 where Isaiah explained, “The LORD said to me, ‘Call his name Maher-Shalal-Hash-Baz’”! Text: The Books of Ecclesiastes, Song of Solomon, and Lamentations. The Book of Ecclesiastes is included in the section of the Bible known as the Poetic Books. There is no specific language in the Book of Ecclesiastes to help us determine the actual date that it was written. However, there are several verses that strongly suggest that Solomon was the author (See 1:1, 12, 16; 2:4-9; 7:26-29; and 12:9). Many believe that the words of 1 Kings 4:29-34 reveal to us that Ecclesiastes was a part of the “three thousand proverbs” and the “one thousand and five songs” that were “spoken” by Solomon. There is also no specific date given in the book but a careful look helps us to see that this was written by someone who was experiencing the more mature years of his life. The theme of this wonderful book is the comparison of a life that is filled with material pleasures and successes and the life that is lived in obedience to the Word of God. Like Ecclesiastes, the Song of Solomon is a poetic book. The entire book is actually one lengthy, poetic work. This book was very significant to the Hebrew people in that it was read annually at the Passover. The book may be interpreted literally, allegorically, or typically. We will use all three of those approaches as we write the devotionals from this beautiful book. This book is titled “Song of Songs” in some translations and “Canticles” in others. The first verse of this song clearly states that this song was written by Solomon. Since several verses in this song will refer to Solomon directly, and since several other verses will refer to “the king,” some think that the story may have been written about Solomon and not by him. Whichever the case, the song may be considered as being about God and Israel, Christ and the church, or even a husband and wife. In either case, it is a story of love and devotion, and there are many spiritual applications to be gained from its reading. Although the books of Job, Psalms, Proverbs, Ecclesiastes, and Song of Solomon make up the Poetic Books of the Bible, the Book of Lamentations is being included in this devotional because it is actually a collection of five “poems” or “songs” that lament the destruction of Jerusalem at the time of the Babylonian captivity. In the reaction of the Israelites to their trials and persecutions, we learn some great lessons about trials and the lessons that they can bring into our lives today. Lamentations is a book of warning and a book of mourning. In its few pages, we see life from the perspective of those who are experiencing God’s chastisement for their sin and rebellion. Introduction: There are many things that I admire about Matthew. One of the most admired things about him is that he was committed to introducing people to Jesus before he was ever called to be an apostle. Luke’s Gospel records that Matthew (Levi) gave a banquet for Jesus in his home after his conversion for the purpose of introducing Jesus to his friends, family, and associates. This special, evangelistic event was held prior to his being asked to become one of the twelve apostles. There is a good lesson here for all of us. We see that Christ selected His apostles from those who were already serving Him. They did not become apostles and then begin to serve the Lord! We have learned that the best way to get something done is to give it to a busy person! Matthew was a man already busy spreading the gospel and that made him a likely candidate for expanded opportunities. Introduction: Like the books of Samuel, 1 and 2 Kings were originally one large book known as “Kings” in the Hebrew Scriptures. The author, or compiler, of this book is never named and there is no conclusive evidence as to who should be credited with this work. It is apparent that the author, or authors, of this book was/were very familiar with the Laws of God, and particularly the Book of Deuteronomy. Three other books are mentioned in the “Kings,” namely “the book of the annals of Solomon” (11:41), “the book of the annals of the kings of Israel” (14:19), and “the book of the annals of the kings of Judah” (14:29). It is believed that these books were actually like our “public records” files today. If so, these records certainly contained some very detailed, personal information about the people who are described in 1 and 2 Kings! You will meet some of God’s finest people as you read these pages. However, you will also read about some people who sinned greatly against God and who caused great harm to come against God’s people. May your time spent in this book of the Bible equip you to be like the former and not the latter! Introduction: We live in a society that is saturated with knowledge yet starving for wisdom. The Book of Proverbs is filled with spiritual wisdom and knowledge that can be applied to the practical situations that we face every day. A “proverb,” by definition, is a truth stated in a memorable fashion. It often offers a contrast between the right and wrong way to live, thereby helping us to avoid disaster in our relationships with God and other people. This is a book about faith, family, and friendships. It is a book that was written with a personal, practical, precautionary, and preventive purpose in mind. We all need practical advice that is also good spiritual advice. This is the kind of information that we will process as we take this daily walk through the Kingdom Proverbs. Introduction: After reading the sad and tragic ending to 1 Samuel, one might think that we can now breathe a sigh of relief at the thought that the bitter conflict and persecution that David felt at the hand of Saul is finally over and that he might now be able to move forward and be the king that God had called him to be. But, even though Saul is now dead, David still has a few more enemies to face before he is finally recognized as God’s chosen king of Israel. You might look at this book as one that has two important sections with the first section covering “The Triumphs of David” (2 Samuel 1-10) and the second covering “The Troubles of David” (2 Samuel 12-24). In between those two sections, we will read the sad story of David and Bathsheba (Chapter 11). From this we will see that a person’s life can hinge on just one “chapter” or bad decision made in a moment of uncontrolled selfishness, lust and desire. As delightful as David’s triumphs might have been, his troubles proved to be equally as dark. After his adulterous affair with Bathsheba, he commits murder and then watches helplessly as the child born to their union dies. After that, one of his sons raped his sister (David’s daughter) and another of his sons killed his brother (David’s son). Add to all of that the fact that David’s son, Absalom, rebelled against him and sought to kill him, and you soon see that there are some very sad stories included in this book that is mostly about David and his reign as king. Reading 2 Samuel will help us all to see the glory that can be enjoyed in a life that is committed to obedience and service to God, but it will also help us to see that gloom that sin and disobedience can bring into the lives of God’s people. As you read this important book, ask God to show you His plan for the one, true King that He has provided for us in His own Son, Jesus. Introduction: The book of Judges is the second of the historical books of the Bible and covers a period of about 350-400 years that fall between the death of Joshua and the beginning of the monarchy in Israel. Even though some have made some speculation about authorship, we are never told who wrote this book. Because of the repeated phrase “in those days” we can safely conclude that someone wrote this book in retrospect – looking back at what God had already done. The “judges” that God raised up to help perpetuate His kingdom were more like military leaders than judicial officials. Within this book, there is a continuous cycle of God’s people sinning against Him; God allowing an enemy to chastise them; God’s people crying out to Him for deliverance; and God sending a leader to deliver them from the oppression of their enemies. Each of these occurrences of deliverance seems to be followed by a period of obedience and peace. However, this cycle of “from sin to suffering to salvation” continues throughout the book and, in the end, we find Israel pretty much where they were when the book started. Each of the stories in the book helps us to see how God used circumstances and people to provide Kingdom Perpetuity for His chosen people. Introduction: As far as I can see, there are only two recorded instances where the disciples literally demanded something from the Lord and both of those accounts are recorded in the gospel of Luke. After being told that they should be willing to forgive a sinning brother “seven times in a day,” the apostles said to the Lord, “Increase our faith!” The other demand that the disciples placed on Jesus was recorded earlier in Luke’s gospel. In Luke 11:1 we are told that, after hearing Jesus pray, His disciples stated to Him, “Lord, teach us to pray!” In all of the gospel records we find no request for the Lord to teach them to heal, preach, teach, or minister in any other way. Perhaps they understood that the secret to the life that Jesus was living before them was His divine connection to His heavenly Father! It was a connection that they strongly desired. It is one that should be desired by all Christians today. Kingdom Prayers traces teachings on prayer throughout the Old and New Testaments and offers insights into ways that our personal prayer life can be more like that of Jesus! Introduction: Throughout this devotional series, we will be reading from four books of the Bible that are named for people who fulfilled important roles at important times in the lives of God’s people. It is needless to say that each of their lives was marked by the extraordinary grace and providence of God. Esther 4:14 finds Mordecai sending a desperate message to Queen Esther in which he asks her this question: “Who knows whether you have come to the kingdom for such a time as this?” Ruth, Ezra, Nehemiah and Esther were all people who were where God wanted them to be at an exact time in history. Each fulfilled their holy calling simply by fulfilling God’s providential plan for their own lives. May we learn to honor God in such a way in all that He has called us to do for Him. As you read through these books in the Bible, be reminded that no saint or service is insignificant in the eyes of God. Introduction: God has given us four wonderful “biographies” of the life and ministry of Christ. Each of the men who wrote a gospel did so with a particular group of people in mind. Matthew wrote primarily to the Jewish people and went to great lengths to provide them with adequate and appropriate information to prove to them that Jesus was the Messiah. That is why he went to such great lengths to record the genealogy of Christ for them. Luke wrote with a Gentile audience in mind, and he, too, recorded the miraculous birth of Christ so that his primary audience could be assured that they were not being asked to worship someone Who was not worthy of their devotion. John wrote with the everyday believer in mind and simply assumed that his audience had already placed their faith in Christ and, therefore, believed Him to be exactly Who He said that He was. Mark also wrote primarily to those who had already placed their faith in Christ, so he was led to focus on the things that Jesus had done and said while He was with them on this earth. Some people have referred to the Gospel of Mark as “The Busy Gospel” because it is fast moving and it reports on the life of Christ in such a way that we see Him very much “about His Father’s business.” Mark’s record is the most chronological of all of the gospels. It begins at the outset of the Lord’s ministry and moves straight forward through His march to Jerusalem and the cross. But thank God Mark was not led to end his gospel on that hill called Calvary! He also records, with great detail, the resurrection of Christ and His command to the church to carry the gospel to the whole world! I hope that you enjoy your time in this wonderful book! Introduction: Paul founded the church at Corinth on his second missionary journey. Early in the first chapter we learn that many of the people in this church considered Paul to be their favorite preacher! Because of the time that Paul invested into these people (he wrote them two letters and visited them often) we can assume that he returned the love that these young Christians displayed for him. However, there were some very serious problems within this church that had to be addressed. No doubt, many of these problems were hangovers from the Greek culture from which these people had been saved. No church letter, by any writer, addresses more problems than 1 Corinthians. Some writers have referred to this letter as “Christianity 101.” No book addresses the “basics” of the Christian life more than 1 Corinthians. Introduction: The Bible contains a section twelve books that are most often referred to as “The Minor Prophets.” In order of their appearance in the Bible, they are Hosea, Joel, Amos, Obadiah, Jonah, Micah, Nahum, Habakkuk, Zephaniah, Haggai, Zechariah, and Malachi. They are not described as “minor” because they are less important than the writings of any of the other prophets, but because they are shorter in length (most of them can easily be read in a single sitting). So, the term “Minor Prophets” has nothing to do with the “quality” of what God used these men to say, but only with the “quantity” (or length) of their messages. Together, their indictments of Israel’s drifting away from God set the stage for the New Covenant that will be ushered in through Jesus Christ. Introduction: Deuteronomy is a transliteration from the Greek words that mean “second law”. Just before Moses was to pass on to Heaven and Israel was to pass over the Jordan River into the Promised Land, God repeated His message once more to His people through His prophet. Deuteronomy is actually made up of three long sermons that Moses preached to the people so that they would be reminded of God’s expectations of how He desired for them to live in obedience and blessing in their new homeland. As we read through this book, we need to be reminded that those who heard these messages were the descendants of those who had originally left Egypt with Moses. Deuteronomy is very much about performance and how God desires for His people to live in harmony with His Word and in obedience to His Will. I pray that you will find strength to do that as you read through this book and these devotionals. Introduction: We will be reading through five books of the New Testament during this 40 day period of devotions. The first three books (1 & 2 Timothy and Titus) are considered to be “pastoral letters” because they were written to young men who were assigned to pastor churches in the latter years of the Apostle Paul’s life and ministry. Much of what we know about church organization is based on these three important letters. The little book of Philemon is actually a “personal letter” that Paul wrote to a dear friend and there is much to learn about Christian friendship from reading this very powerful communication. We will close out our reading time in the Book of Hebrews. This is a wonderful book that helps us to understand much of what the Old Testament priesthood and sacrifices represented and how that Jesus Christ fulfills all that those things foreshadowed. Introduction: It is my prayer that you have enjoyed reading through the first 12 chapters of Luke and that you will find the remaining chapters to be a blessing as well. Luke and Acts are the two longest books in the New Testament and we know that Luke authored them both. There is much information to be found in Luke that is not found in any of the other gospels or anywhere else in the New Testament. There are approximately 558 verses of Scripture in Luke that contain information that we do not read elsewhere! To put that in perspective, that is more verses that are found in all of Galatians, Ephesians, Philippians and Colossians combined! Luke mentions marginalized people more than any other Gospel writer. He writes of shepherds, widows, lepers, children and women more than any of the others and he also mentions the Holy Spirit more than any other Gospel writer. Please enjoy yourself as you allow Dr. Luke to share with you more of the things that he was taught by the “eyewitnesses” who walked with Jesus! Introduction: Although the author’s name is not given anywhere in the Gospel of Luke, we are sure that it was written by the very special believer to whom Paul referred as “the beloved physician” (Colossians 4:14). Luke was a close friend and ministry partner to the apostle Paul, and was the only non-Jew to write any part of the New Testament. When you consider the Gospel of Luke and the Book of Acts, you will see that this man wrote more of the New Testament, by volume, than any other writer. Being a Gentile, Luke, no doubt, confirmed Paul’s conviction that God had “chosen the foolish things of the world to put to shame the wise…the weak things of the world to put to shame the things which are mighty.” Because of Luke’s understanding of the Gospel and the Old Testament writings from a Gentile perspective, the Holy Spirit was able to use him to write from a non-Jewish point of view. For example, Luke was the only writer to include the stories of the “Good Samaritan”, the “Prodigal Son”, and Zacchaeus, just to name a few. While Luke was a trained medical doctor, it will not take you long to realize that the “Kingdom Physician” about which he wrote was none other than the Lord Jesus Christ! Introduction: We will be reading from the last 19 chapters of Numbers over the next forty days. As we draw closer to the end of this book, we will see Israel as they draw closer to finally entering the Promised Land. This second half of Numbers, like the first, contains some interesting stories of some very interesting people. And, like the stories in the first half of this book, the stories related in the closing half are a mixture of victories and defeats. In the closing chapter of the book we will bid a sad farewell to Moses and Aaron and we will see Joshua and Eleazar introduced as the new spiritual leaders of God’s people. Introduction: You might think that only an accountant would want to read a book titled “Numbers”, but I am sure that you will find this story more interesting than you might imagine! This narrative picks up about thirty days after the events of the last chapter of Exodus and covers the vast majority of Israel’s forty year journey from Egypt to the Promised Land. While several chapters of this book contain census figures, there are more than enough exiting stories intermingled along the way to make it very interesting reading. As you read, you will see a lot of human failure coupled with a lot of divine patience and mercy. This book will help us better understand how God works with His imperfect people by carefully guiding them to the point where they are prepared to know and do His will. As we read this wonderful book, we will see Israel transformed from a nation of slaves who fled from the armies of Pharaoh to a nation of soldiers who marched boldly forth to conquer the armies of the Canaanites! Introduction: Like every other book of the Bible, Exodus is not an individual story separate from the book that precedes it or the remaining books that follow it. It is a continuation of the story set forth in Genesis and its first words pick up right where the story in Genesis ended. The title, Exodus, literally means “the way out.” As we march through Exodus we will march with the people of God as they leave their old life in Egypt behind to follow God to the place that He promised their people hundreds of years before. God does not show us only the high spots in the lives of His people. He allows us to learn from their defeats as well as from their victories. A careful, prayerful reading of this book will allow us to learn more about God and how He lovingly guides and provides for His people. It is my prayer that we will be blessed as we read through this wonderful book together and that we will, after completing this devotional, be an even stronger army for our God! Introduction: Genesis is a book about "beginnings." It tells us about the beginning of the heavens and the earth and all that is contained therein. This is also a book about our "beginnings" in the sense that it is the record of man's ancestry all the way back to Adam and Eve. These early ancestors of the Christian faith are referred to as "patriarchs" in the New Testament. Hebrews 7:4 specifically speaks of Abraham as being one of those patriarchs. Patriarch means "father" or "head." The people that we will meet in Genesis are people that became the fathers, or heads, of all of the nations of the earth. Enjoy your time in Genesis as you meet the family! Introduction: The Gospel of John is, perhaps, the most personal look that we will have at the life and ministry of Jesus Christ. John was one of The Twelve who walked with Jesus during His earthly ministry and he was the only disciple who followed Jesus all the way to the cross! However, these devotionals will not be about John! Just as that humble man would have it, these devotionals will be about Jesus and the paths that He walked during His three years in the flesh. These devotionals will follow Christ during those three years and pay careful attention to trying to identify the time and place of the events that are recorded in this book. John’s goal in writing was, “That you may believe that Jesus is the Christ, the Son of God and that by believing you may have life in His name” (John 20:31). The goal of this devotional guide is no different. It is my prayer that you will be blessed as you take this forty day walk down our Lord’s Kingdom Pathways. Introduction: The letters from which we will be reading over these next forty days make up the largest part of what is often referred to as the “General Epistles” section of the New Testament. Hebrews will be the only one of those eight letters that we will not be reading from in this devotional guide. The term “general” is applied to these letters because they are not addressed to any one specific church or person. They are written for the instruction and inspiration of all churches and Christians. This does not make these writings any less personal in their appeal of any less powerful in their application. We will be reading the writings of four different men. Two of them (Peter and John) were part of The Twelve who walked with Jesus for the full three years of His earthly ministry. The other two (James and Jude) knew Him even longer than that! These two men were half-brothers that were born to Joseph and Mary after the miraculous birth of Christ. I know that you will be blessed with the great spiritual truths that we will receive from these faithful Kingdom Preachers. Introduction: I am not certain how this collection of songs of praise and prayer came to be located in the center of the Bible, but I am certain that praise and prayer are to be at the center of our personal relationship with God. As we read from this important book of the Bible, we will place a special prayer emphasis on the music ministry of our church. Praise and worship are vital to the ministry of any church and to the overall wholeness of any church body. Please join us as we praise and pray our way toward a closer walk with the Lord. Introduction: These songs of praise and heartfelt prayers reach to every need of the human heart and soul. They were written in good times and bad; in times of plenty and poverty; and, in times of rejoicing and remorse. There is no place that a believer can find himself that they cannot find a psalm that helps them to understand their situation and teaches them to bear their load with complete confidence that the Lord is always with them and that his presence will help to sustain them through their trials! If we learn nothing else from these writings, we certainly learn that the presence of God makes a difference! Introduction: This series is the second part of our four-part study in the Book of Psalms. While we know this book as Psalms, the Hebrew title for this collection of writings is “The Book of Praises.” However, more than one of the psalmists declared it to be a book of prayers (See Psalm 72:20). In one of the most popular translations of all time (KJV), some form of the word “praise” is found in the Book of Psalms 187 times while some form of the word “prayer” is found 40 times. Introduction: Christians are to be “musical” people! The New Testament teaches that we are to, “Speak to one another with psalms, hymns, and spiritual songs. Sing and make music in your heart to the Lord.” This command is immediately followed by another, where we are told to be, “Always giving thanks to God the Father for everything, in the name of our Lord Jesus Christ” (Ephesians 5:19-20). It is important to note that these two commands are attached to the command to be filled with the Holy Spirit (Ephesians 5:18). Thus, we learn that two of the evidences of the indwelling Holy Spirit are praise and prayer. This attitude of praise and prayer is meant, first, for private worship. When it is incorporated there, it soon carries over into our public worship. Introduction: In this devotional series, we will focus on practical applications of the New Testament to everyday life by going through five of the church letters written by the Apostle Paul. In Romans, we will find that there is a lot more to be discovered than just the way to salvation. Paul deals with the believer's everyday walk in society and the relationship that we should have with civil authorities, peoples of other ethnic origins, and our own personal, spiritual growth through faith and the power of the Holy Spirit. In Galatians, Paul addresses legalism. Just as legalism affected churches in Paul's day, it is just as much a threat in churches today. Paul will help us see the priority that God places on a personal righteousness that is based on faith in Jesus Christ and His work on the cross. In Ephesians we will learn about the power and presence of the Holy Spirit and how God equips every believer for victorious living. In Philippians we will learn, through Christ's own example, how we can have consistent, fulfilling joy in our lives. Finally, in Colossians, Paul will help us to understand the power of Christ by allowing us to see Him as the Creator and Maintainer of the entire universe. Introduction: Our devotional readings for this period will take us through four of the letters of Paul that are called “church epistles.” First Corinthians was written after Paul received a report from someone about some problems that this church was experiencing. There were some specific situations that the Holy Spirit inspired Paul to address in writing. From these writings we find some things that we can safely assume to be God’s “policy” on these issues for all New Testament believers and churches today. Second Corinthians was written in response to certain charges that were being brought against Paul and his ministry. From Paul’s Spirit-inspired responses to these allegations, we are once again provided with a “policy” guide to be used in churches even today. First Thessalonians was written to a very young church that was facing some extreme persecution and trials. From Paul’s messages to these early believers we find some very good “policies” for dealing with trials and tribulations, godly living, and the daily work of the church. We also find some of the strongest teaching on the rapture and second coming of Christ in this short letter. Second Thessalonians is more of a follow-up letter to Paul’s first message. It was apparently written shortly after the first letter and deals with the same basic issues. It almost seems that Paul was inspired to write this letter immediately after Timothy and Silas returned from the delivery of the first letter. Perhaps their visit with the believers in Thessalonica revealed some additional insight or caused a greater sense of urgency to encourage and comfort the believers there. Introduction: Miracles! Simply defined, they are the punctuation marks of the Almighty. Throughout His Word, they are used unsparingly to identify the mood of the Writer as His message is recorded for our instruction and spiritual well-being. Through these divine marks, carefully placed by the Messenger, we know when to stop, slow down, yield, or simply to proceed with caution. In the miracles that are recorded throughout the Bible, we can better understand the intent of the Holy Spirit as human beings are guided by His hand to record God's Word to His people. Introduction: Much is being said today regarding prosperity from church pulpits. Pastors tend to preach on topics about which they think people most want to hear. There is a place for teaching on Scriptural prosperity, but we must be careful to keep it to that prosperity which is truly based on the Scriptures themselves. Over the next forty days we will cover passages from various places in the Bible that deal with true prosperity. Some of these passages will discuss money and other financial principles. Some will deal with possessions. However, all of the passages will deal with our heart attitude toward all of those things.